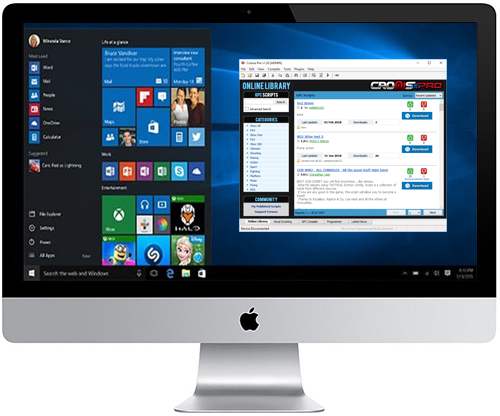 Cronus PRO is compatible with Windows 7, 8 and 10. However it can also work on a MAC as you can run these versions of Windows in a dual-boot configuration using free tools such as Boot Camp or VirtualBox and paid tools such as Parallels Desktop or VMware Fusion. If you don't own Windows, you can download a trial copy of Windows 10 here (click on the 'Download Tool Now' button and use the Media Creation Tool). We don’t often recommend paid software, but in the case of Parallels Desktop, it’s something we use every single day for testing software and running Windows on a MAC. The integration with OS X is amazingly well done, and the speed blows away VirtualBox. In the long run, the price is well worth it (You can download a 14 day trial and the price at time of press is $79.99).